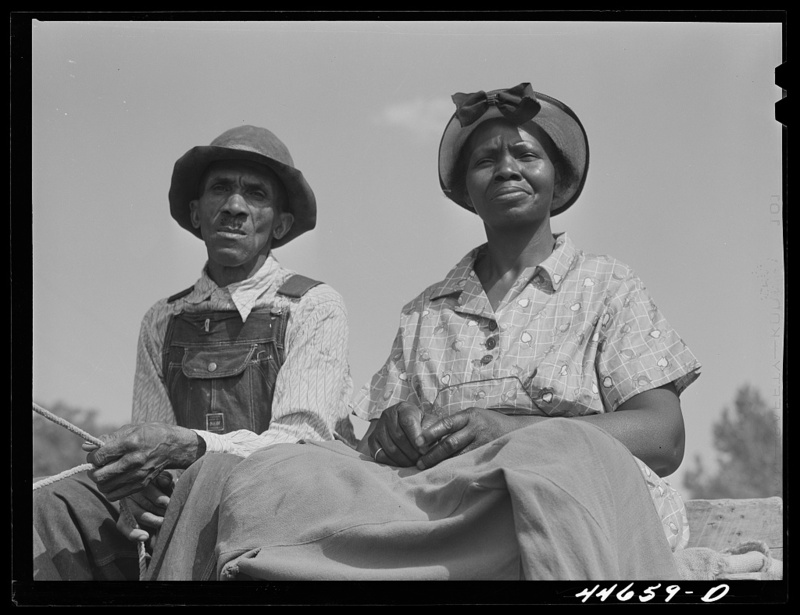 This African American couple going to town on a Saturday afternoon in Greene County, Georgia, in spring of 1941 lived under Jim Crow laws that inhibited their rights including the right to vote. Photo credit: (Library of Congress). 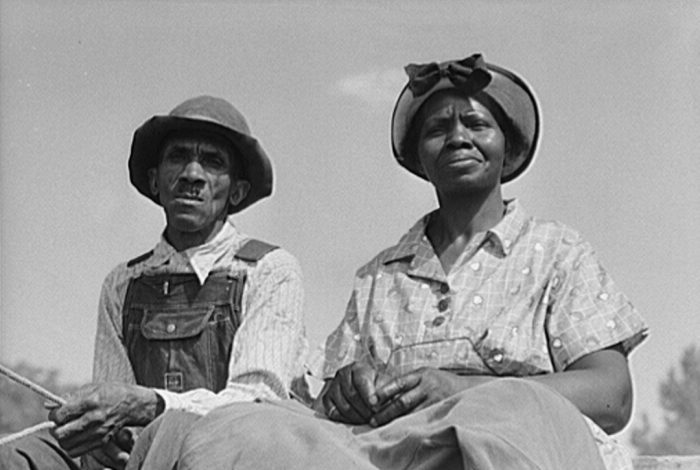 During Jim Crow America, voter suppression was a way to cut the black population out of the election process. One of the biggest barriers was a literacy test, a crucial part of being registered to vote. White voters got one test. Black voters got an entirely different one. The white registrar would be the ultimate judge of whether an answer was correct. If a black person got even one question wrong, they were disqualified. Something as trivial as a misplaced comma in their response could be enough to keep them from registering to vote. This history of minority-voter suppression is a bitter legacy — and a version of it lives on today in Georgia. The latest iteration is called “exact match” voter registration. A law enacted by the Republican-controlled state legislature, it requires that all information filled out on a voter registration form must exactly match that found in databases held by the Georgia Department of Driver Services or the Social Security Administration. Just the smallest disparity on a registration form lands the prospective voter on a “pending status” list. We’re talking tiny errors: a misplaced hyphen, dash, extra space, or — a presumably not uncommon issue created by a registrar — misspelling of the names of minorities and the foreign born (names that typically are easier for the native-born to record incorrectly). And so the game is once again rigged. “So many people are being swept up into this really flawed system,” Danielle Lang, spokesperson for the Campaign Legal Center in Washington, DC, told WhoWhatWhy. This has seemingly just been confirmed. A new report from the Associated Press shows that 53,000 new voter registrations are currently on hold because of exact match. And though African Americans make up 32 percent of the state’s population, a whopping 70 percent of these challenged registrations are those of black Georgians who want to vote in the upcoming election. The problems have been long coming. The office of Secretary of State Brian Kemp has canceled over 1.4 million voter registrations since 2012 — nearly 670,000 of them in 2017 alone. That certainly gives the appearance that Kemp — who is running for governor — is trying to tailor the electorate to benefit Republicans. His opponent is Stacey Abrams, who is vying to become the first African American woman to be elected governor in the United States. Kemp first put in place this de facto discriminatory “exact match” voter-registration protocol as an administrative policy in 2010. But the first challenge did not come until 2016, when Lang’s organization, along with the Lawyers Committee For Civil Rights Under Law, sued the secretary of state on behalf of a number of Georgia civil rights organizations. Kemp settled the case. The settlement involved agreeing to update the addresses of voters who had moved within the same county in the last two years, mail them new precinct cards, create a system to ensure that this never occurs again, and generally stop engaging in such discriminatory behavior. And yet, in 2017, shortly after Kemp settled, exact match once again reared its prejudicial head — this time in the state legislature. A new law requires the use of the exact match protocol, while introducing a purported reform that voting-rights advocates note was in fact nothing of the sort. It allows 26 months for “curing” the mismatched information — in other words, pushing the deadline to remedy the discrimination more than two years into the future. All of this was only made possible by the Shelby County v. Holder Supreme Court decision that gutted the Voting Rights Act. “It’s certainly why we are seeing an increase in voter suppression,” said Lang. Kemp settled another lawsuit in 2017. This one was filed by the ACLU on behalf of Atlanta resident Stacey Hopkins, who received an illegal purge notice from election authorities after she moved within the same county. “I knew, looking at it, that it was a clearcut violation and they were trying to illegally purge me,” said Hopkins, who received the notice right after voting in the Atlanta mayoral election. The ACLU asserted that this notice violates both federal and state law. Hopkins pointed out that Georgia, with its ignoble history of race relations, seems to have learned nothing about the need to reform its policies. That reality pains her. The notices, which were sent out to more than 383,480 voters across Georgia, stated that the recipient would be declared “inactive” if they did not respond within 30 days. When Hopkins, who is also an activist, fought back, Kemp settled out of court. As far as exact-match protocol goes, Hopkins believes it should raise questions about Kemp’s true motives. 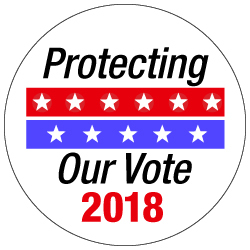 As for the legislature, election rights advocates don’t believe its claim that restoring exact match, albeit temporarily, will prevent “voter fraud” by ensuring that only eligible voters are on the rolls. In fact, the consensus among experts is that exact match is a solution in search of a problem, and that real incidents of in-person voter fraud are exceedingly rare. Exact match is just one of numerous GOP-led initiatives in the Peach State that have prevented people of color from participating in democracy.